Have you ever rushed into your English class late ? What did you say to the teacher ? 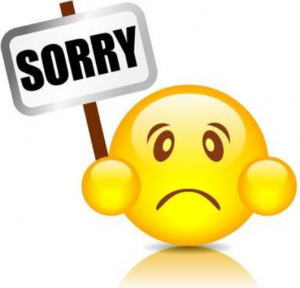 If you said, “I’m sorry to be late ” or “I’m sorry for being late ”, that’s not quite right ………. Sorry ! I hope that’s clear. Good luck with your lessons and I hope you’re not late for class ……. but if you are, now you know what to say !